Regular exercise might delay a rare form of early onset Alzheimer’s disease, a new study suggests. 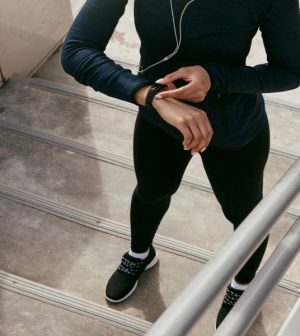 Researchers found that 2.5 hours of walking or other physical activity a week thwarted mental decline tied to autosomal dominant Alzheimer’s disease (ADAD). This is an inherited form of disease that leads to dementia at an early age. “The results of this study are encouraging, and not only for individuals with rare genetically caused Alzheimer’s disease,” said Maria Carrillo, chief science officer for the Alzheimer’s Association. “If further research confirms this relationship between physical activity and later onset of dementia symptoms in ADAD, then we need to expand the scope of this work to see if it also is true in the millions of people with more common, late-onset Alzheimer’s,” Carrillo said in an association news release. She wasn’t involved in the study. A team led by Dr. Christoph Laske at the University Hospital of Tubingen in Germany examined data on 275 people who carry a genetic mutation for ADAD. The participants’ average age was 38. They also had lower levels of key biological markers of Alzheimer’s disease in their cerebrospinal fluid, including tau — a protein that builds up in the brains of people with Alzheimer’s. The study was published online Sept. 25 in Alzheimer’s & Dementia: The Journal of the Alzheimer’s Association.